The unusual phenomenon has been seen in the South West, West Midlands, North West and North East. The sun has dimmed, turning into a small, red ball shining through a blanket of clouds. Forecasters at the Met Office is investigating the hurricane and said it could have been caused by a large amount of dust from the Sahara. 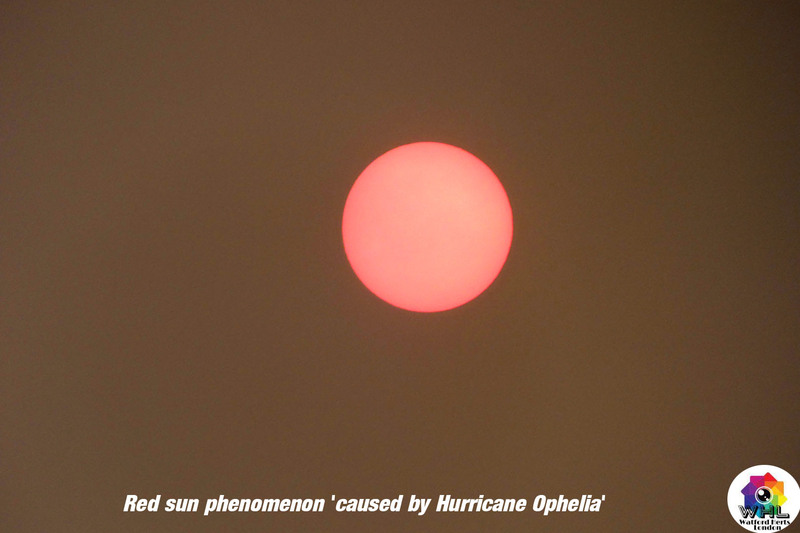 Head of Asthma UK helpline Sonia Munde told the Standard: “We are deeply concerned about the toxic air from Saharan dust that Hurricane Ophelia has churned up, as this could pose a severe risk for the 5.4million people in the UK who have asthma. Storm Ophelia is expected to hit the UK mainland at around midday, with flights grounded and a "danger to life" warning in place. Planes have been grounded at Manchester Airport, with 20 flights cancelled and passengers warned to check ahead.